When I attended college in the Chicago area in the 1990s, the region’s food scene was known best for Chef Charlie Trotter and deep-dish pizza. My, how things have changed. Today, Chi-Town has become one of the most exciting, innovative, and adventuresome food cities in the nation. It’s home to celebrity chefs such as Rick Bayless, Stephanie Izard, and Grant Achatz. It has more whiskey bars than any other city outside Kentucky. And there’s something for everyone – especially if you’re not a fan of getting gussied up to go out to eat. 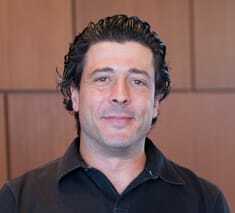 Without question, my favorite everyday spot in town is The Purple Pig, a collaboration of chefs Scott Harris of Mia Francesca, Tony Mantuano of Spiaggia, and Jimmy Bannos and Jimmy Bannos Jr. of Heaven on Seven. This casual North Michigan Avenue eatery is a glorified wine bar that serves housemade charcuterie, cheeses from all over the world, and small plates of Mediterranean fare (the menu of “Smears,” such as whipped feta with cucumbers, is intriguing). It’s also a great place for food nerds (like me!) to spot chefs dining on their own time – the last time I was there, I logged a sighting of Chef Marcus Samuelsson. For a fancier experience, head across the river, to The Girl and the Goat. Anchoring the up-and-coming Randolph Restaurant Corridor in the West Loop, this upscale eatery from “Top Chef” winner (and, more recently, James Beard Award winner) Izard opened in 2010 and has become one of the most popular restaurants in town. Score a seat at one of the two chefs’ tables – both have great views of the goings-on in the kitchen. From there, the plan is simple. Order the wood oven-roasted pig face. Try dishes like crispy duck tongue and the escargot ravioli (yes, they’re really stuffed with snails). Whatever you do, just be sure to save room for the watermelon granita for dessert. Viewfinder Tip: Make reservations for popular Chicago eateries such as Next at least one month in advance (if not longer). Perhaps the most memorable dining experience in all of Chicago comes at Next, a one-of-a-kind restaurant from Chef (and mad scientist) Achatz. What makes Next special is that it’s never one thing for very long. Achatz puts together a set number of prix-fixe menus every year and changes the restaurant entirely (including the interior décor) every three to four months. In addition, instead of treating the experience as dining out, he treats it as entertainment, selling “tickets” to diners that require pre-payment and include a 20% tip. To put into perspective just how special the Next experience really is, consider this: The 2013 Vegan menu, which was scheduled to conclude August 24, comprised 22 courses, including an opener of burned avocado puree and a later course of Swiss chard served with fermented bean paste and housemade seitan. There are other great Chicago eateries. Xoco, for instance, the newest spot from Bayless, specializes in Mexican Street Food, homemade soft-serve ice cream, and churros. 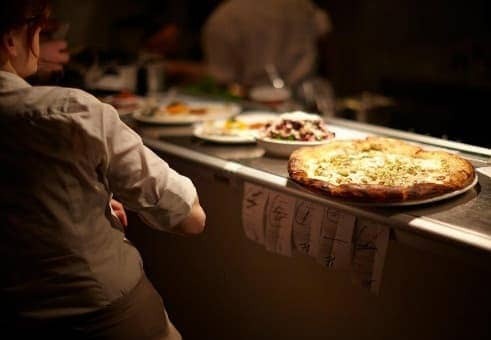 Balena, in Lincoln Park, offers some of the best wood-fired pizza in town (according to friend and food writer, Amber Gibson). Finally, for inventive Japanese delicacies, such as steamed buns with blood sausage, try Yusho, from Chef Matthias Merges. Not surprisingly, Merges once was a Trotter protégé. In the Windy City, some culinary traditions are worth embracing after all. How do you find the best local restaurants when traveling?